This week we hope to remind you of what you already have in place (or in the case of charts- hanging in place) and how you can refashion these charts in ways that feel fresh and new. This requires some reflection, some revision, and some reinvention. It will also require some retirement. As seasons change, we are forced to take a look into our closet, reflect on what clothes are in constant demand, which ones might be layered as the temperatures drop, what might need to be added, and which outfits have not been worn in years and need to be retired and given to the nearest charity. We need to look at the charts hanging in our classroom the same way we look at the clothing hanging in our closet. This is an example of a chart that is no longer needed in December. • Which charts have been up since the start of the school year? • Is the chart still needed? 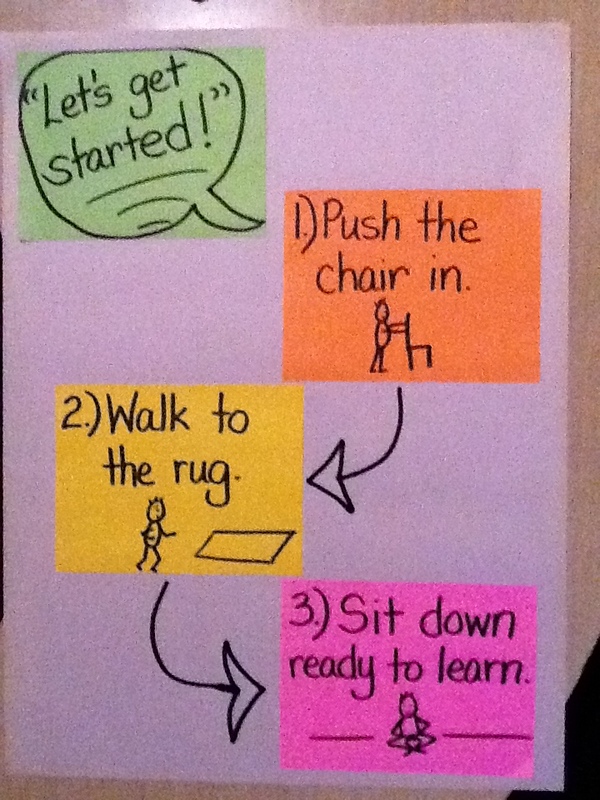 Do most children do what is on the chart without prompting? 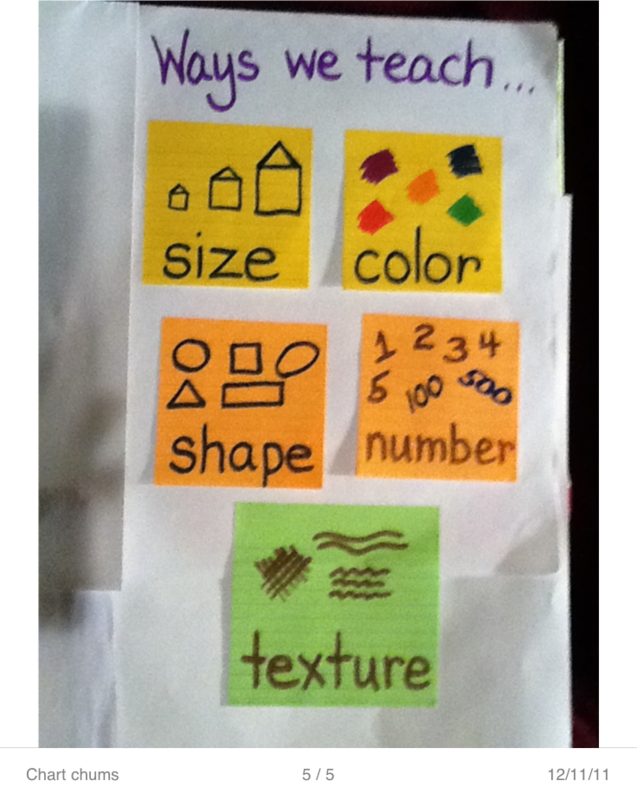 • Which charts contain strategies the children still need and use? 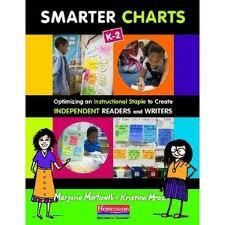 • Which charts do the children still need, but they are not using? • Which charts might work for the next unit? What revisions might make them work? • What charts do I not see that will be important to make for the new unit ahead. 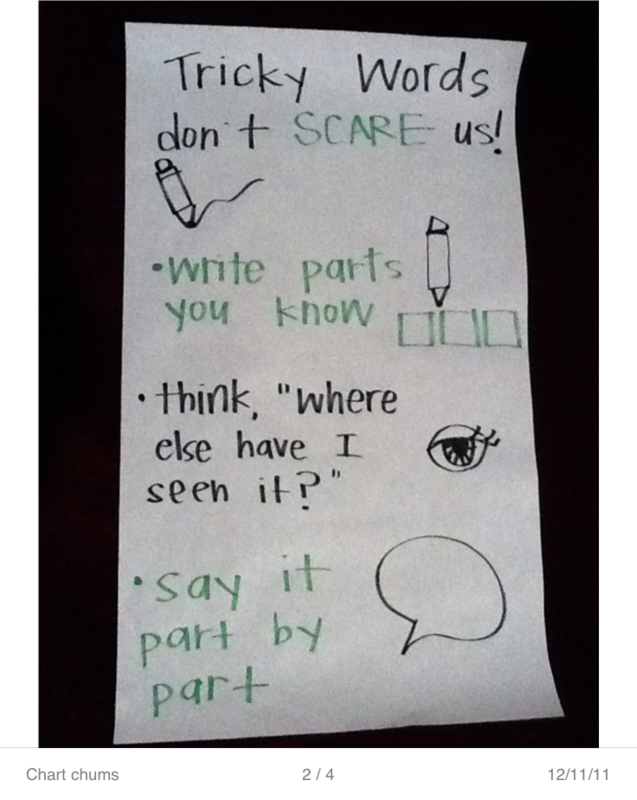 This Tricky Words chart is extremely relevant to any unit , especially one that focuses on informational texts. Then you can think about your new or upcoming units of study. Reflection on the new unit of study leads to revision as we ‘re-see’ how our charts are being used, not used, not needed, need revising, or not there. Now think, What’s old is new again. Which charts can I revise, change, adapt, to make them seem new and fresh, in ways that fit with the new unit of study? • Is it a change of placement? • A change of text? • A change of examples? • An addition to an existing chart? • What new chart do I need to start? This chart shows ways to elaborate informational texts and replaces a narrative elaboration chart which focused more on action, dialogue, & feelings. Any one of these things can make any old chart feel new again and any new charts seem even more exciting. Back in fashion. Right off the runway. Comfortable. Ready to make your own. I love your fashion metaphor: way to look at charts in a new way! I have been liberated by your sketch pad tip. My children refer to it all the time and I never conference without it. I’d be glad to send you some photographs. Thank you for your comments. We would love to see photos of your sketch pad and how the children use it.